Looks good. Will we ever see another high rise in James Bay as long as we live? Agreed, but did they have to make it look like it was designed in 1975? Yeah, it almost has a Harbour Square/Harbour Court (or whatever it's actually called) esthetic on the ground there. Design details and material choices will was designed to support the nearby heritage buildings. The arched openings used at 440 Parry Street and at the adjacent United Church inspired a theme of arched and curved openings for the proposed building. 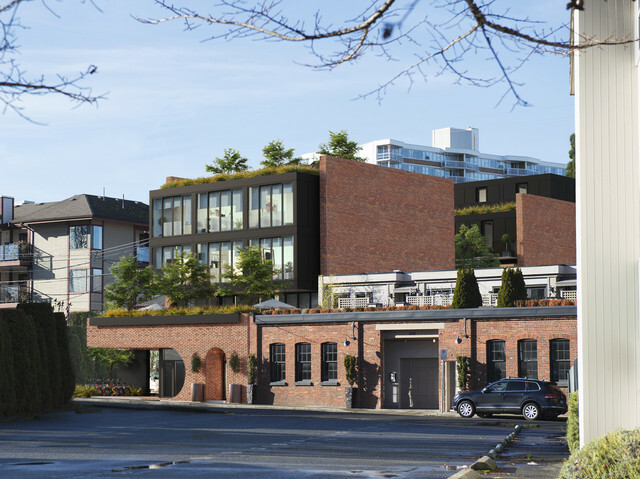 The red brick used on so many of Victoria’s heritage building will be used on all of the proposal’s exterior walls, continuing the materials used for 440 Parry. 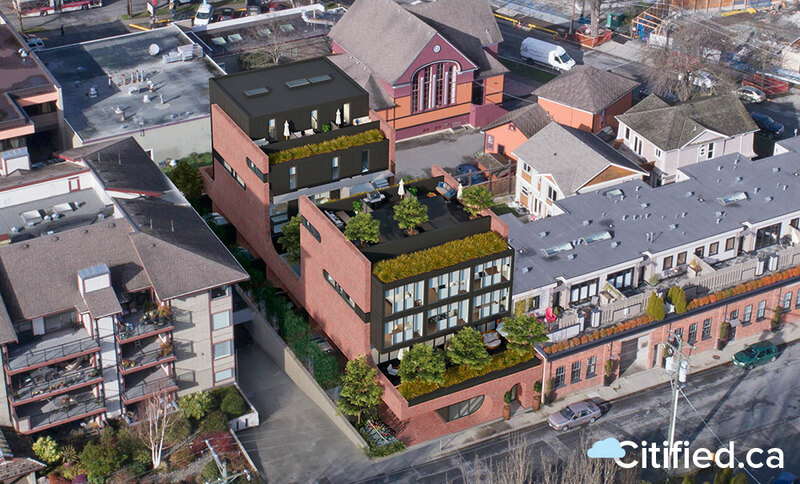 Brick will also be used on the sides of the proposed building, to give a finer scale and texture to the less visible parts of the proposal, which are typically finished with unappealing cost-effective materials. Maybe this view will help convince you? Edited by PPPdev, 26 March 2018 - 09:01 AM. Exactly. Not an aesthetic that needs to be honoured nor repeated ever again. ...Maybe this view will help convince you? While I get what is being proposed, the long "horizontal arch" is just not something I like. For such a short frontage it's probably fine. What is the alternative? Design it to look like it was designed in 2008 like everything else haha? Seriously, a long horizontal arch was the only option??? I fully admit that the horizontal arch thing mostly irks me since it just looks too much like nasty 1970s architecture. Edited by PPPdev, 26 March 2018 - 11:10 AM. This is not increasing my enthusiasm for this project. Well, by the look of our elevator shaft design, our project is very enthused. Here is a video peek into the project next door at 440. I guess it was completed in 2007. Edited by VicHockeyFan, 26 March 2018 - 02:49 PM. I'm liking it. The arches are a bit odd but they are more interesting than the typical rectangular openings. I do like the addition of some height (no reason why it needs to be flat after all) and the integration into the adjoining building. BTW I remember when the adjoining building was converted several years ago. Walked past multiple times while it was in progress. Attended an open house once in one of the upper units, liked it a lot. Edited by grantpalin, 26 March 2018 - 04:37 PM.